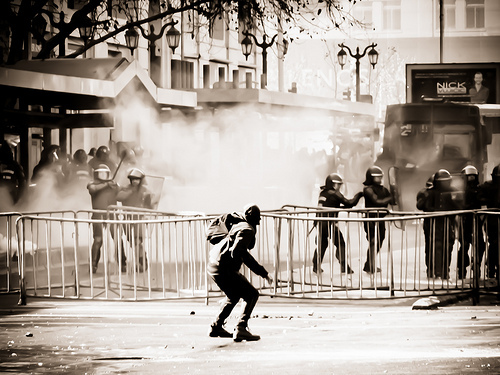 Thursday 25th August 2011: 16yr old Manuel Gutiérrez is shot in the chest and killed by police as violent battles erupt between police and protestors in Santiago, Chile. It was day 2 of a two-day strike against President Piñera and over 1,300 people were detained by police. The protests included students, union members, government workers and opposition parties – while the government is said to have downplayed the significance of these protests the union for government workers estimates that 80% of their membership attended, losing two days pay. Student union leader Camila Vallejo has denounced the worst of the protests – “We don’t want violence, our fight is not versus the police or to destroy commercial shops … our fight is to recover the right to education”. There has been months of protest taking place in Chile, with hundreds of thousands of people taking to the streets to protest against the government and to demand better distribution of the income, including more spending on education and healthcare. President Piñera has been in power since March 2010 and unfavourable comparisons can be made to Augusto Pinochet – Piñera is the least popular president since the dictator with a paltry 26% approval rating at present. 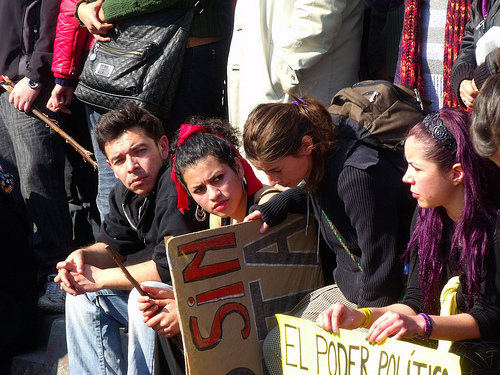 A government spokesman said, “The students are not the owners of Chile”. Which begs the question, who does Chile belong to? The government is known for its fiscal austerity and private-sector solutions – the education sector in particular is very segregated thanks to neoliberal reforms since the 1980s. Government spending on education is equal to only 4% of GDP (compared to 7% in developed countries), while at the same time unemployment rates for young people are double the national average. Perhaps the wealthy are the only ones who can really claim ownership of Chile. So what does being a model economy mean in practical terms? How can we celebrate financial success for a few at the top when a lot of ordinary people are still struggling to get by? Obviously GDP and GNP are grossly inadequate measures for gauging the economic well-being of a country and these levels of mass protest send a clear message of the desperation and disconnection many people are feeling in the current system. We need to recognise that the large-scale social unrest is directly related to economic hardship and a lack of opportunities, no matter how much the government tries to downplay it.